The ProX X-RCF-SUB9004AS is designed specifically to house and protect the RCF SUB 9004-AS Subwoofer Speaker. This professional speaker case employs a 3/8" laminated plywood that has a hard shell with internal impact resistant padding to provide the best protection for your investment. No matter where you take your speakers you can have peace of mind, nothing will get damaged during transit or in storage. This particular case rests on four high quality 4" casters designed for easy traveling, it also comes equipped caster dishes on top to facilitate stacking with other flight cases. The X-RCF-SUB9004AS is the perfect case for AV production companies, touring bands, entertainment groups, mobile DJ's or anyone who owns RCF SUB 9004-AS subwoofer speakers. Protect your investment with ProX Cases. 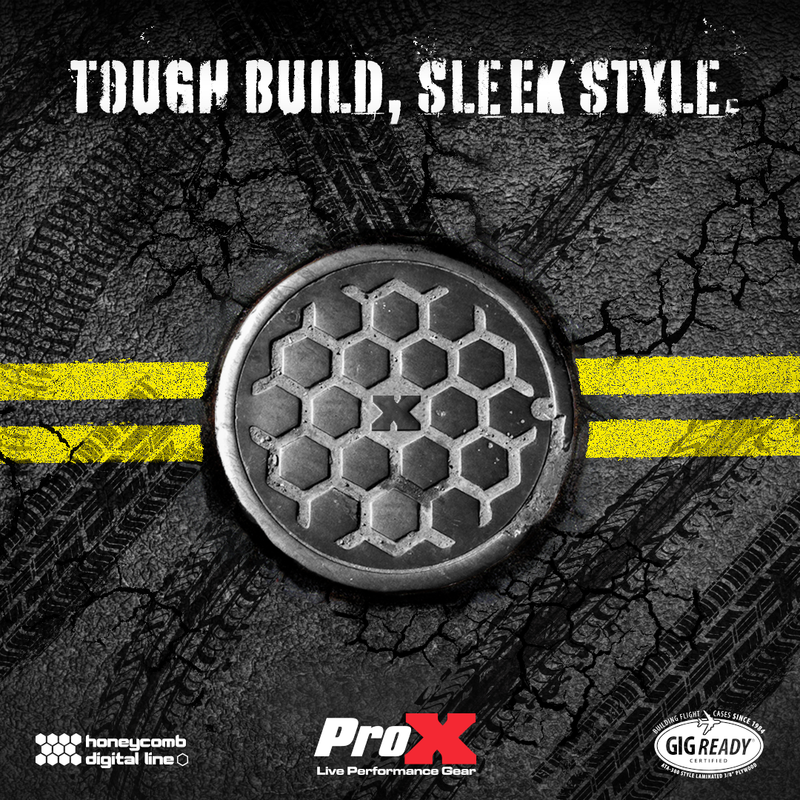 This ProX case is manufactured with the Honeycomb laminated surface Design. Made with the super-sleek look of Honeycomb hexagon grids on all shell surfaces, which gives the cases an almost alien look! Also as opposed to regular laminated plywood cases from other manufacturers, the ProX Honeycomb design helps prevent minor to mild scratches. The Honeycomb Digital line design was inspired by the design of New York City Street Manhole covers which are made to handle rough and tough everyday punishment. * ProX Goes Green: The durable hard rubber foams used in our cases contain 70% recycled content. Of that 70%, 80% of it comes from recycled plastic bottles and the remaining 20% from recycled post-industrial material. At ProX we strive to make the world a better place! The ProX X-RCF-SUB8004AS is designed specifically to house and protect the RCF SUB 8004-AS Subwoofer Speaker. This professional speaker case employs a 3/8" laminated plywood that has a hard shell with internal impact resistant padding to provide the best protection for your investment. No matter where you take your speakers you can have peace of mind, nothing will get damaged during transit or in storage.